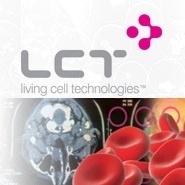 Living Cell Technologies Limited (ASX:LCT) (OTCMKTS:LVCLY) is a New Zealand biotechnology company focused on discovering, developing and commercialising regenerative cell treatments which restore function using naturally occurring cells. LCT’s lead product NTCELL(R) is an alginate coated capsule containing clusters of neonatal porcine choroid plexus cells. After transplantation NTCELL functions as a biological factory producing neurotrophic factors to prevent and repair disease induced nerve degeneration. The Phase I/IIa NTCELL clinical trial in New Zealand for the treatment of Parkinson’s disease met the primary endpoint of safety and showed encouraging clinical efficacy. A Phase IIb trial has been designed to further evaluate NTCELLs potential as a disease-modifying treatment for patients with Parkinson’s disease. NTCELL has the potential to be used in a number of other central nervous system degenerative diseases such as Huntington’s, Alzheimer’s and motor neurone diseases. 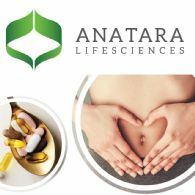 The four patients who took part in Living Cell Technologies Limited&apos;s (ASX:LCT) (OTCMKTS:LVCLY) Phase I/IIa clinical study of NTCELL(R) for Parkinson&apos;s disease have all reached the milestone of 42 weeks post-implant. All four patients remain well, and there are no safety concerns. Living Cell Technologies Limited&apos;s (ASX:LCT) (OTCQX:LVCLY) Medical Director, Emeritus Professor Robert Elliott, presented for the first time the results of pre-clinical trials of NTCELL therapy in non-human primate models of Parkinson&apos;s disease at BioPharma Asia 2012. 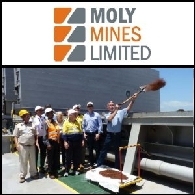 Australian Market Report of December 31, 2010 includes: Moly Mines Limited (ASX:MOL) (TSE:MOL) has sailed its first shipment of 54,500 tonnes of iron ore to China; Living Cell Technologies Limited (ASX:LCT) announced A$5,750,000 fund raising; OM Holdings Limited (ASX:OMH) secured land for Malaysian based smelting and sintering plant; Perilya Limited (ASX:PEM) increased Mineral Resources and Ore Reserves in Broken Hill. 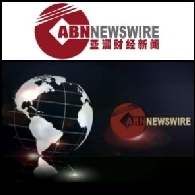 LIVING CELL TECHNOLOGIES LIMITED (ASX: LCT) - Living Cell Technologies Granted Diabetes Patent in the US - Mr David Collinson, CEO & Executive Director; Boardroomradio is pleased to announce that LIVING CELL TECHNOLOGIES LIMITED (ASX: LCT) has published an audio file.